We are offerring three India programs in 2020, each with its own distinct quality to experience and embrace the incredible knowledge that India offers. The Yogi Yatra (pilgrimage) will be focused on the northern region and more partcularly the Himalayas. 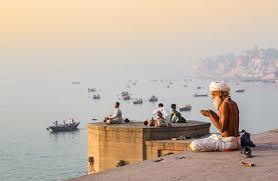 This region is abound with yoga, ancient temples, the sacred river Ganges and the caves (including Mahavatar Babaji's).